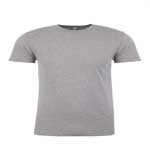 - Gildan Adult 5.5 Ounce Dryblend® T-Shirt. - 5.5 ounce, 50/50 cotton/poly t-shirt with DryBlend® moisture-wicking fabric. - Transitioning to tear away label in 2019. 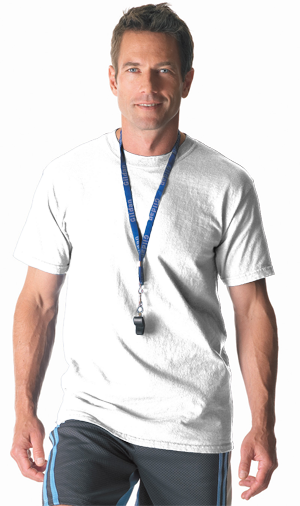 Gildan Adult 5.5 Ounce Dryblend® T-Shirt. 5.5 ounce, 50/50 cotton/poly t-shirt with DryBlend® moisture-wicking fabric. Seamless collar. Taped neck and shoulders. Double-stitched throughout. Quarter-turned body. Pad printed neck label and double satin shoulder label. Classic fit. Transitioning to tear away label in 2019. Sizes S-5XL: Neutral: White. Heathers: Ash Grey, Sport Grey. Colors: Azalea, Black, Carolina Blue, Daisy, Dark Heather, Electric Green, Forest Green, Gold, Graphite Heather, Gravel, Heather Sport Dark Navy (65/35), Heather Sport Royal (65/35), Heather Sport Scarlet Red (65/35), Heliconia, Irish Green, Jade Dome, Kelly Green, Light Blue, Light Pink, Lime, Maroon, Navy, Orange, Orchid, Purple, Red, Royal, Safety Green, Sand, Sapphire, S. Orange, Sport Dark Green, Sport Dark Maroon, Sport Dark Navy, Sport Royal, Sport Scarlet Red, Tennessee Orange, T. Orange.